Hello Homelovers and friends! How was your Monday? Great I hope! I started off this Monday by reading a great passage from the devotional I’m reading with a group of girls from SheReadsTruth:0) All of us are on a quest to read the bible daily and I started a new diet last week so I’m feeling super motivated! #30before30! Today’s My Style Monday is all about the Red, the White and the Blue! The fourth is in just a few days so I thought I would give you guys some inspiration to make your fourth super special. I love to dress up my babies for this festive holiday. Here they are last year as patriotic as they can be! A red, white and blue ensemble is definitely appropriate for any BBQ’s or firework shows that you may be attending this week. Check out some of my favorite dress ups! 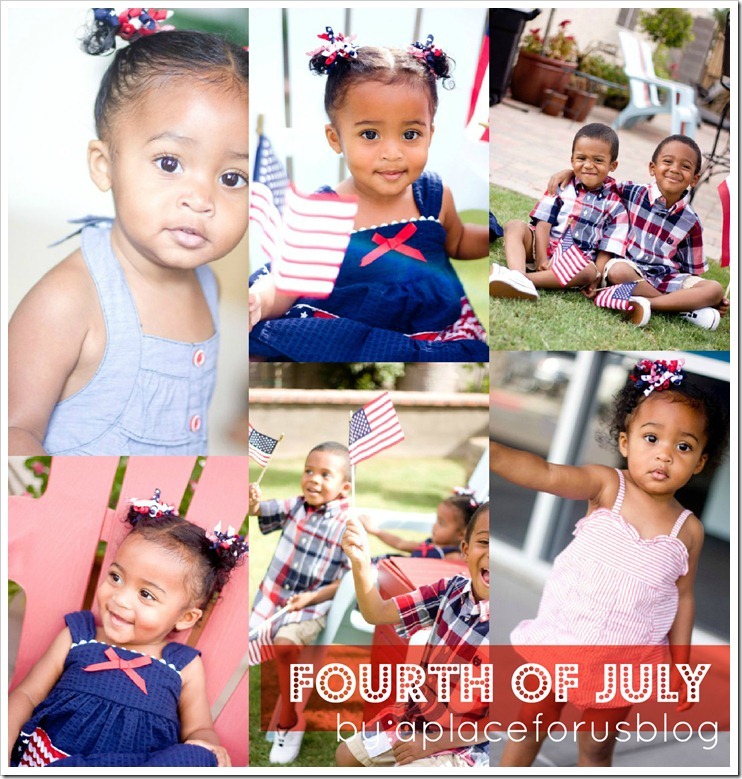 You can find all of these pinned on my Fourth of July Pinterest board! What do you plan on wearing for the Fourth? I loveeee these outfits above. 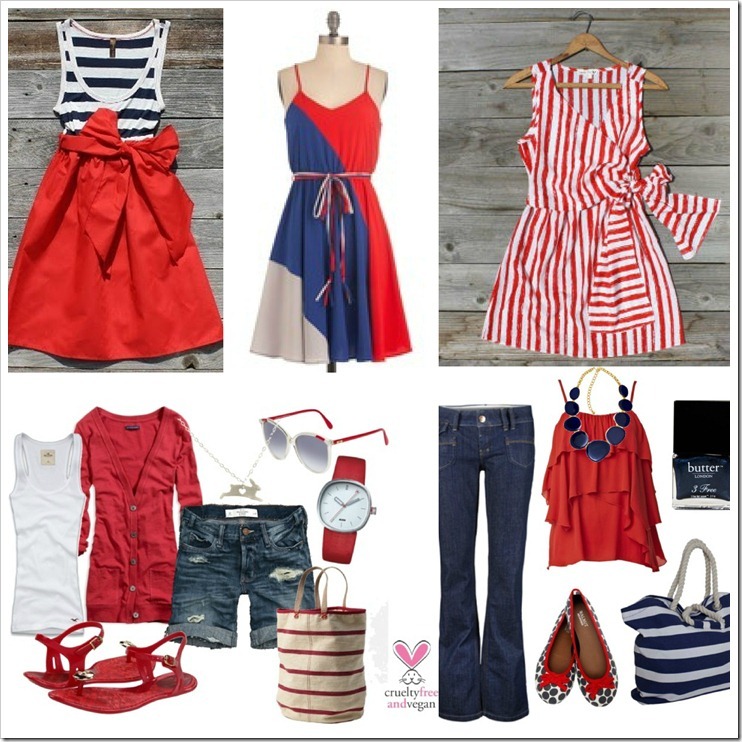 I think my favorite is the red bottom skirt with the blue and white stripe top! That bow is killer cute! But I will most likely be in some jeans and a cute red top like the one in the bottom right!!! I’m always looking for ways to improve my photography! 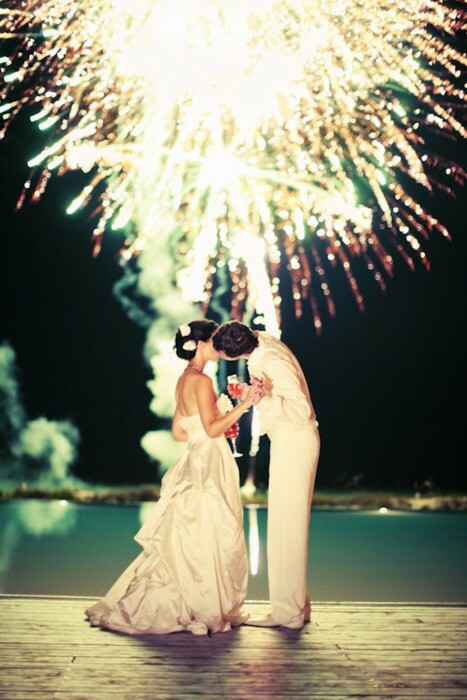 I love this article about taking photos of sparklers and fireworks!Digital Photography School gives you step by step details on how to do this! I recommend checking it out before Wednesday. I’ve always wanted to learn, so I’m glad he breaks it down for us! Isn’t this such a gorgeous shot! Look at those sweet newlyweds! Have a great Fourth friends!!! See you later on this week for a fun Gussy Sews post this and more updates on the baby girls room! Super cute outfits you’ve put together but not as adorable as your kiddos! OMGOSH they are squeezable! Thanks for the photography website info, i hope the tips will work with my point and shoot!! your kids are so stinkin’ cute! love the outfits you pinned. I had to repin them myself for style ideas. here’s the link to my pin boards if you want to follow me! Oh my, your kiddos look so adorable, Destiny! Love your outfits, too!